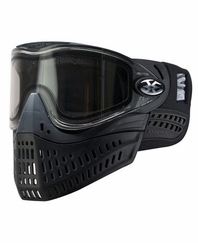 The Empire E-Flex Goggle System combines the two hottest paintball masks on the market! The Empire E-Flex Paintball Mask is the union of two proven goggle systems, giving you the ultimate in vision, comfort and ease of use. 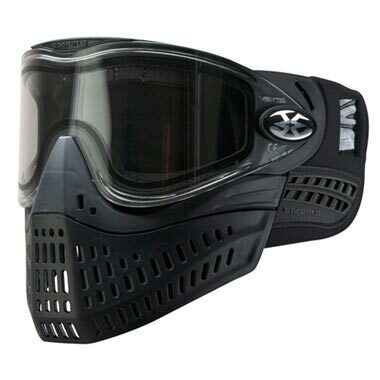 The Empire E Flex utilizes the best features of the Empire E-Ventz and JT ProFlex to create a paintball mask with no compromises. The easy to use Vents quick change lens system and durable thermo-formed ear pieces from the E-Vents combine with the flexible lower and ultra-comfortable Spectra foam of the ProFlex for the perfect paintball face protection. The Vents™ lens removes in seconds for changes or cleaning and the clear, dual-pane design provides maximum viewing angle and anti fog while the comfortable ProFlex foam means all-day comfort. The classic flexible ProFlex lower skirt delivers high airflow and voice projection. The Empire E-Flex Goggle is hands down the ultimate in comfort, protection and high speed maintenance... the new choice of the old pros!